As well as reblogging this post, Dylan, I’m going to add the logo and the code to my own blogs and encourage other authors to do the same. We need to spread the word. Self-publishing has got a bad reputation (especially within the publishing industry) yet the majority of authors I’m in contact with are good, honest and responsible professionals. The more of us who sign up to this code, the more chance we have of countering this (mostly) outdated view. From Dylan Hearn’s blog, Suffolk Scribblings … I plan to add this logo to both my blogs and link to the code to show my support and aggreement. I agree that posting the logo on media is an affirmation of the code. Self-regulation and ethics are important to keep our industry independent and respected. Absolutely. I wanted to put this up there because it represents how I, and many others, already behave but aren’t necessarily getting the credit due to the small number who have a more questionable ethics. Making a statement does not guarantee behaviour. I can think of two authors off the top of my head to don’t hesitate to agree to this code, and to break every tennent thereof and accuse innocent authors of their own misdeeds. Decent behaviour is proven by actions, not statements. Hi Jaq, thanks very much for your comment. Yes, I agree with you that making a statement with nothing to back it up can lead to some writers exploiting it. I also agree with the article you linked to that the majority of authors shouldn’t have to sign up to something like this because we we should already behave in this way (I especially liked the example they gave of other statements that are well intentioned but not needed “I will not throttle, defenestrate or club my child over the head with a brick, even when provoked“). The reason I personally signed up for this was because it is a statement of intent from a young industry. 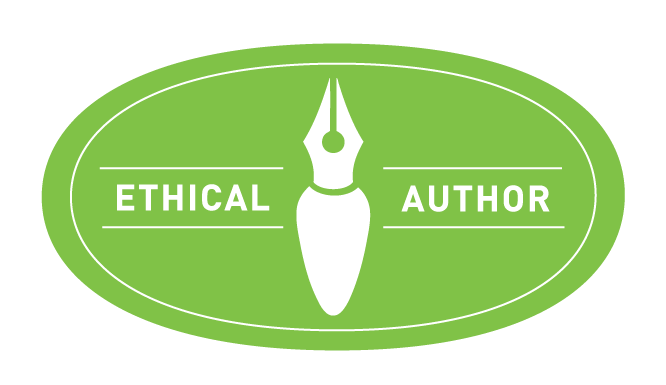 It is a banner that the majority of us who have always behaved ethically can rally under and use to counter the now tired arguments that self-publishers are charlatans out to make a quick buck through the delivery of shoddy work at a cheap price. Is it perfect? No. Will it change how people think about self-publishers? Possibly not, but at least it’s an attempt to do something (on top of the best way of changing people’s minds, which is to produce good quality work). I can understand if you personally don’t want to sign up, and being part of this may end up coming back to bite me on the backside as KJ Charles mentioned, but I’m willing to take that risk if the code helps improve our industry’s image. I don’t often reblog. Rather, if I find something worth sharing I usually put it in my own words and then give the author the credit. But I felt this was important to share as is. I believe wholeheartedly it’s a code we all should live by. Reblogged, shared on FB page and I am putting this badge on my website. This a code we all should live by. Thank you for posting. Interesting, thanks for sharing. Do you have to be a member of the ALLi to display the logo? Wonderful code to hold as a writer/author and to address the public. I’ve seen too many scuffles on FB with authors and editors cutting each other down and it just looks unprofessional. In the end, I’d rather not deal with either one, so no one wins. I agree. While the temptation may be strong to strike back at somebody who you feel has unfairly trashed your work (or you personally), doing so only makes you look as bad as the perpetrator. Definitely worth a reblog! If you’re a writer/author, I highly recommend you read this, commit to it, proudly display the badge on your site, and reblog for other author’s to commit as well! Thanks so much for the reblog and for your support for what’s an excellent idea. I absolutely agree! Fabulous idea and proud to commit to it! Great idea and principles I think that most of us agree with anyway. When in doubt, do the right thing. Right? W.C. Yes, I like this very much. There is nothing worse than seeing other writers in virtual fist fights online. And books are about the readers – they have to be. Right? In the days before self-publishing, such guidelines (though largely unspoken) were strictly enforced by the nature of the industry. A writer who violated them would find him or herself without an agent and/or publisher in short order. To see them explicitly listed and promoted as necessary behaviors for ethical writers just goes to show how much the industry has changed. We have become our own police force, so to speak. To NOT adhere to these principles is not only unethical but the height of foolishness. That kind of thing comes back to bite you in the end (double entendre intended). It would never occur to me to engage in any of those behaviors, but I guess there are those that do. That’s a shame, as it tarnishes all indie writers. However, there is something about waving a flag saying “I am ethical” that I find vaguely disturbing. Rather than make that declaration, I think I will just continue to behave as I always have and trust that my ethics are obvious. As always, Dylan, a thought-provoking post. Hi Jim. I can understand your position. My personal reasons for putting this up is because self-published writers especially tend to get listed under the same umbrella and painted as cowboys and charlatans because of the actions of a minority. Because we don’t have a large corporation or industry organisation behind us to either refute these suggestion or to be seen to be acting to do something about it, we have to do it ourselves. I completely agree we shouldn’t need to put this type of statement up, but by doing so it shows that many of us recognise these actions are unprofessional and unethical and not part of what we do. Thanks so much for reblogging this. Reblogged this on Marianne Jones. Reblogged this on Janet Glaser. Reblogged this on EduPedia Publications.